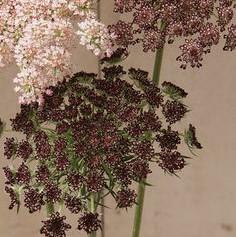 Beautiful 3-5" airy umbels in shades of burgundy red. A beautiful filler for bouquets with sturdy upright stems. Many stems per plant.